Intergroup – July 2013 – Lincoln Nebraska A.A.
– Still hasn’t heard from Wild Bunch about the missing check. Intergroup does not have the check. It has not been taking out of WB’s account, but it’s still missing. Balance: Beginning balance of $169.49. Paid July – Dec rent $30 to Central Office. New balance: $139.49. City/County Jail: Joe G. New volunteer has been cleared, and is attending the Tuesday night meeting at LCF. When the new jail opens (tentatively scheduled for August), LCF and the downtown jail will both move there. CCCL: Tom E. Tuesday night in-house men’s 12 step study continues to go well. Some new inmates are attending and attendance is up. A potential male volunteer has filled out an app. D & E: Bill O. Wednesday night meeting is going well. No info on Monday night meeting. No update on the religious coordinator/waiting list situation. RTC: Bill O. Facility is currently on lockdown for what official describe as “special circumstances,” so the Sat. night meeting is not happening. Old Business: Intergroup would like a report detailing our expense for the first half of the year. Bill O. will produce the report. 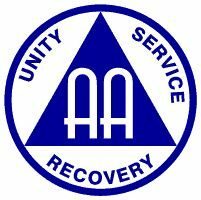 New Business: Ron R. has received a letter from a wife of an inmate at Lincoln correctional center (the state’s medium security prison) requesting information about AA meetings at the facility. Ron will respond to the letter. Each person has prospects to bring to next meeting. Alyssa brought 100 copies of flier. Jeff will reimburse her. Taking fliers to meetings in Lincoln, Intergroup and the Central Office. – Jessi will work on uploading past minutes on to google docs. Let’s buy pie for people when they come. To get them to meeting and to thank them. – New web chair is ready to go, things are transitioned mostly. – He will be working on making the mobile sites run more smoothly. – Someone heard there is a request for in-house meetings for women at CCCL. – Foxhall was curious about Special Events Committee not being represented at Intergroup. How are they funded? They had attended in past rotations. Asking from help from AA. Meeting closed at 6:55 p.m. and we all gathered for the Serenity Prayer. The next meeting is Friday, August 30, @ 6:30 p.m. @ Willard Community Center-1245 S. Folsom St.